Flat rate bee removal and control. Guaranteed service for one flat fee. Bee swarms that land on trees will normally move on within 72 hours, depending on the weather. Honeycomb removal and repair service. From start to finish we will take care of it all. 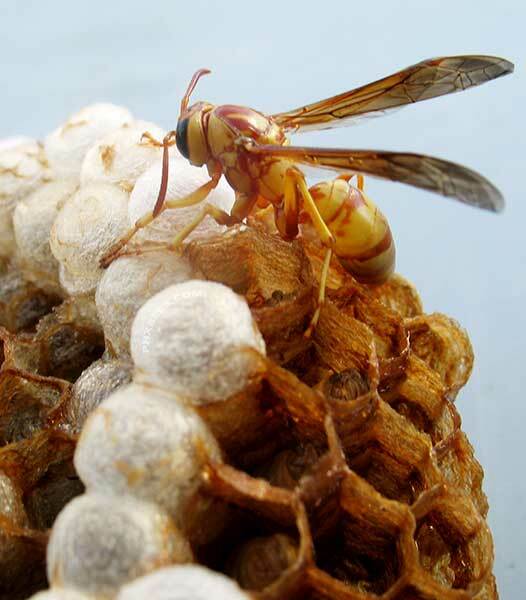 We offer extermination services for all species of wasps, hornets, and other stinging insects. The list of crops that simply won't grow without honey bees is a long one: Apples, cucumbers, broccoli, onions, pumpkins, carrots, avocados, almonds ... and it goes on. Without bees to pollinate many of our favorite fruits and vegetables, the United States could lose $15 billion worth of crops -- not to mention what it would do to your diet. 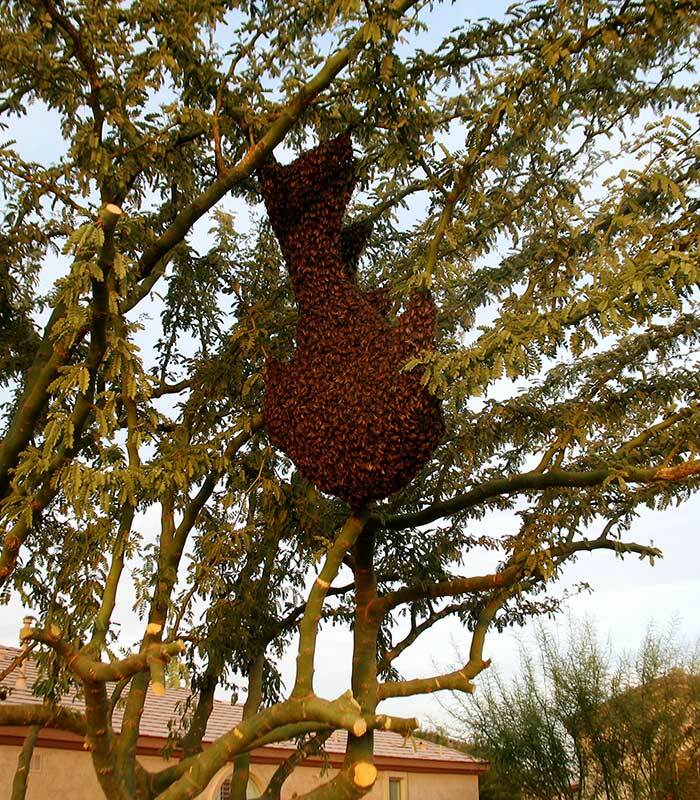 Beekeepers first sounded the alarm about disappearing bees in 2006. Seemingly healthy bees were simply abandoning their hives in mass, never to return. Researchers call the mass disappearance Colony Collapse Disorder, and they estimate that nearly one-third of all honeybee colonies in the country have vanished. What are your prices for service? $120 Flat rate for bee removal. Prices for Honeycomb removal can differ from job to job depending on what repairs are going to be needed to remove the bees and honeycomb properly. We accept cash, credit card, check, and multiple mobile payment methods. Do you guarantee your services? Yes, all of our services come with a professional guarantee you can count on. What additional services do you offer? 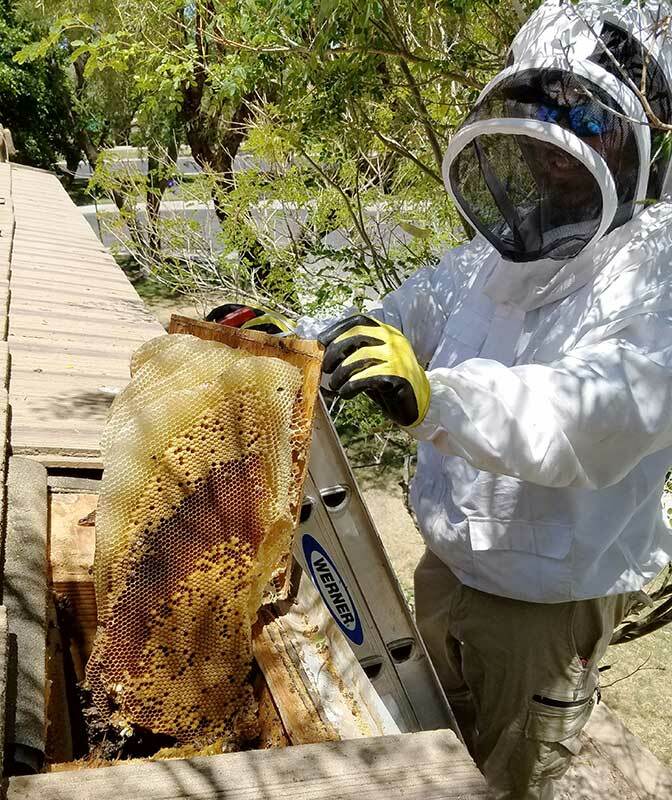 Along with bee and honeycomb removal, We also offer termite service along with common and specialty pest control services. 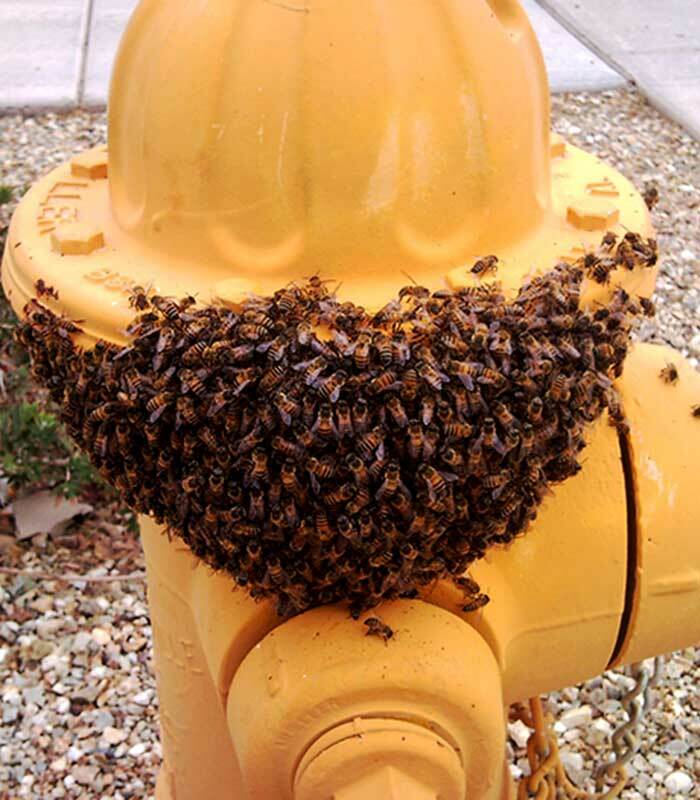 © 2007 - 2019 Phoenix Bee Removal LLC.